Luxurious offices to let in the central business district of Amman, not far from the Amman Queen Alia International Airport. It is also nearby a number of 5-star hotels, fine dining restaurants, cosy residential areas and the financial district. Excellent transport network providing easy access to the city centre and other major cities in Jordan. The offices itself have been recently refurbished to an international level of standards, with modern furniture and air-conditioning facilities throughout the building. Boasting a futuristic design and modern environment, this office building offers luxurious space with a top-notch service to match. The building is located in a relaxing setting in the centre of Amman's financial district, providing a welcoming atmosphere to work in and also all the quick conveniences at the doorstep. Amenities such as banks, post office, travel agents, car rentals, courier services, restaurants and coffee shops can be found within minutes’ walk whereas leading hotels (Sheraton, Four Seasons, Kempinski Hotel Amman) are quite nearby. An impressive business centre situated in Amman, offering furnished office-spaces available to let on flexible terms. Here, tenants can make use of the high-speed internet, conferencing suites, parking and meeting rooms. All work-spaces benefit from plenty of natural light as well. In addition, the centre is well situated close to a major road for convenient travel to and from the centre. Local amenities can also be found in abundance including several hotels, eateries and schools. Being located in the city centre means you can get to and from work quickly and smoothly either using public transport or parking in the convenient on-site car park. The space is accessible 24 hours a day, and has meeting rooms, a reception team and several workspace solutions at affordable rates. Within walking distance, you can find an art gallery, supermarket, and a local park where you can relax. From the 7th floor of this spectacular, contemporary and premium business centre environment clients can benefit from one of the most popular business districts in Amman, which provides amazing views over the city and is fully equipped with the very latest in state of the art technological facilities and professional infrastructure. The surrounding area is full of vibrant and well renowned amenities including a wide range of restaurants, retail outlets and accommodation. The local transport links are also very good and make the centre highly convenient and easily accessible. This business centre is positioned in the most prestigious part of western Amman, with easy access to the airport, downtown and other areas. It is the perfect host for temporary projects, recruiting interviews, training seminars, visiting consultants, and various other events in Jordan. Furthermore, the virtual office service provides all the benefits of housing a business in Jordan without the necessity of being on-site. The centre is set in a new complex, which includes fitness centre and modern café and restaurant. A full range of business amenities is also available. Well situated in Amman's flourishing business hub, your business can thrive within a friendly, professional atmosphere. You can benefit from 24 hour access, administration support and a fully-furnished workspace. There is also parking for your convenience in addition to the amenities within the centre's locality. These include a great variety of restaurants, cafes and public transportation links that will take you in and around the city. Within the new downtown of Amman stands this highly accessible centre. 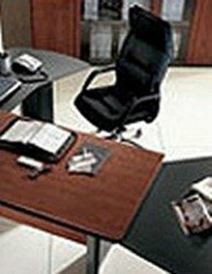 It offers workspace solutions that are either furnished or unfurnished, truly tailoring to your taste and requirements. Amenities include 24 hour access, a friendly on-site management team and security. Around the area, you can find a great selection of restaurants and cafes, as well as luxurious hotels in which international clients can stay with comfort. Offices to let in the commercial district of Amman, with excellent transport links to the international airport and city centre. The offices are housed within a landmark building, easily providing a prestigious address for your businesses. The range of facilities offered includes secretarial and reception services, printing, photocopying, dedicated Internet and PBX telephone systems. In addition there is also 24-hour CCTV monitoring for an added layer of security.